(members can purchase an 8 class punchcard for $32. 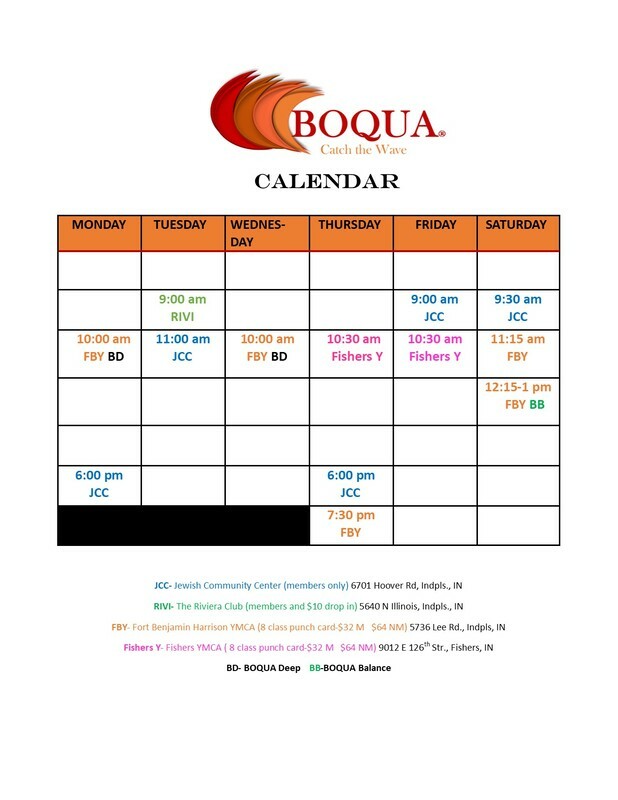 Thursday 10:30am - BOQUA Classic at the Fishers YMCA - 9012 E. 126th St., Fishers, IN (members can purchase an 8 class punchcard for $32. IN (members can purchase an 8 class punchcard for $32.